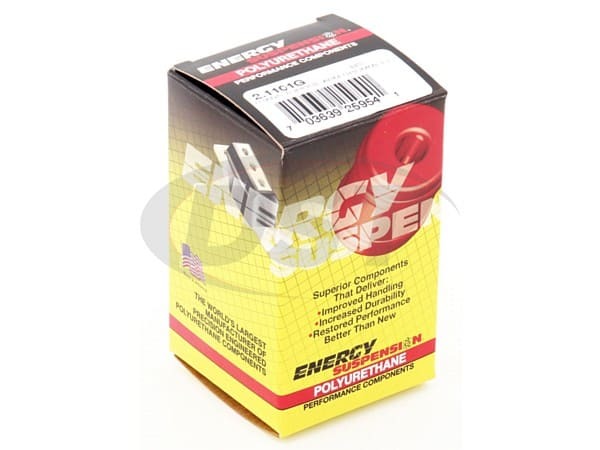 Polyurethane Transmission Torque Arm Bushings from Energy Suspension will replace the flexible rubber grommets that wear down and decrease the stability of your Jeep's transmission mount. 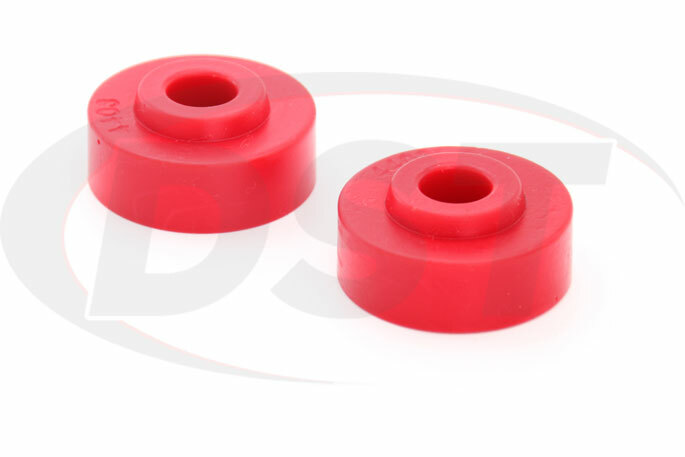 These poly bushings will last the life of your Jeep and help keep the transmission mount in place so the power transfer from the engine to the wheels stays smooth. The transmission torque arm is another layer of stability for the transmission mount on your Jeep and basically assists in keeping the transmission from shifting when you hit the accelerator. 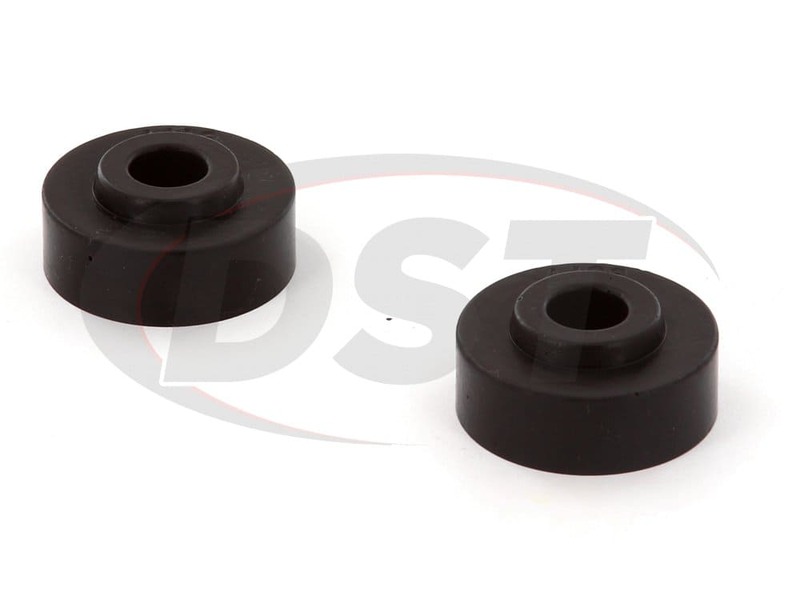 Rubber bushings are good for absorbing vibration, but to do this they bend and flex which can allow them to siphon off some of the power your engine is sending back. If you've made some modifications to your Jeep, like dropping in a bigger engine, your transmission mount is going to have a hard time keeping that driveline stable with the added power. 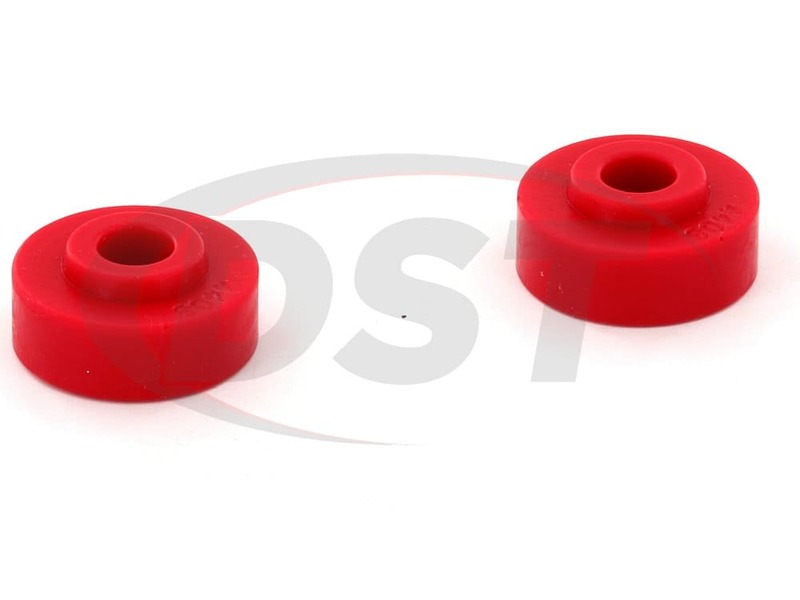 You definitely want to replace those original bushings, but before you go with OE rubber grommets you might consider the benefits of polyurethane bushings. 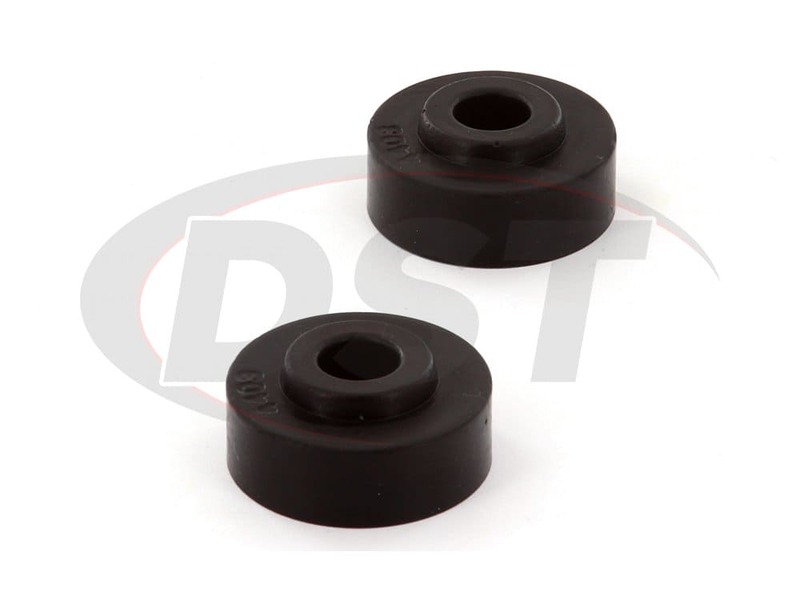 Polyurethane Transmission Torque Arm Bushings are the balance between vibration absorbing rubber and totally stable metal connections. 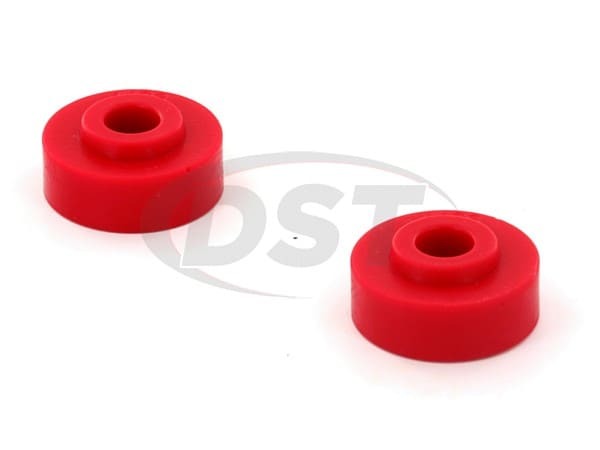 Poly bushings will hold the torque arm firm but without the extreme harshness of a solid metal connection and won't place undue strain on other components. Whether you commute on I35 every weekday or are constantly looking for new trails these polyurethane mounts will increase performance to a balanced level with comfort. 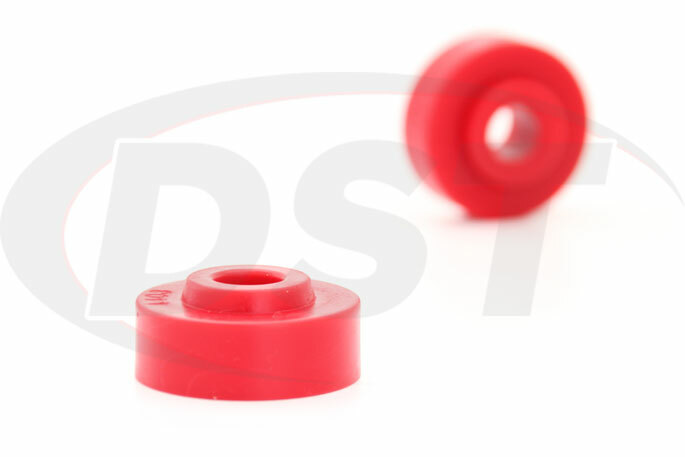 Besides being a more stable solution to rubber, polyurethane bushings have a longer lifespan and aren't affected by road salts, coastal climates, or motor chemicals that can break down rubber bushings till they're ready to fall off your Jeep. 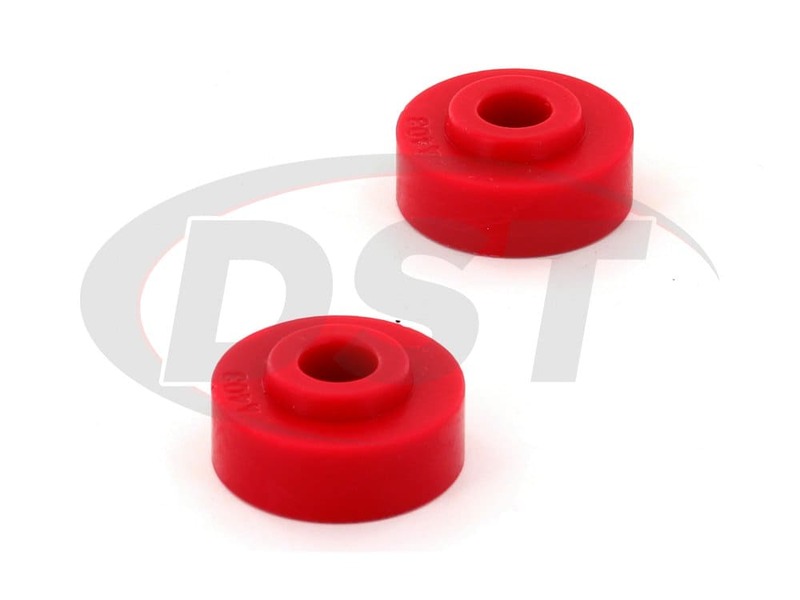 Suspension.com backs these bushings with an exclusive lifetime warranty, making them the last set you'll ever have to buy. 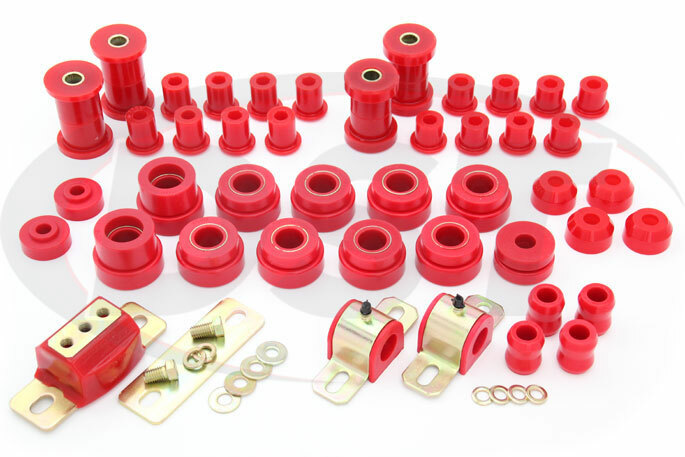 If you're looking for a new polyurethane transmission mount to go along with the torque arm grommets or you're thinking of replacing all the bushing positions with polyurethane Energy Suspension offers Complete Bushing Replacement Kits or a single Transmission Mount to further upgrade your Jeep. Two years of use and no problems! 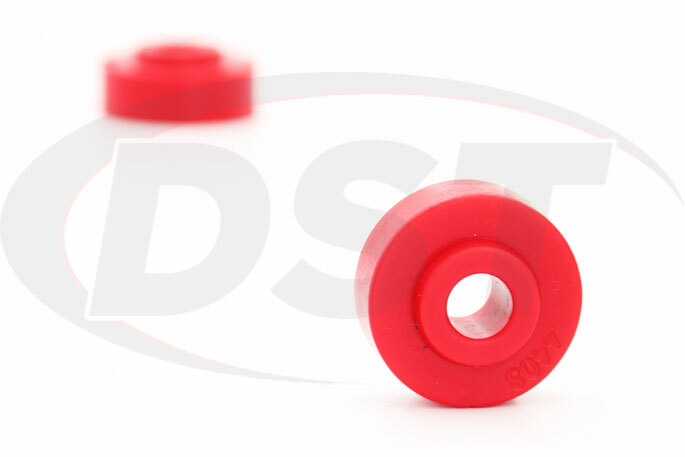 starstarstarstarstar" High quality, perfect fit "
Product fit perfectly and seem to be a high quality part. Overall good experience. Made a huge difference in reducing movement of my powertrain during shifting. The factory rubber ones would only last about a month or so before they were all deformed.